Lalati is an adults only Fiji beach resort. Sip a fresh tropical fruit smoothie, and grab your personal piece of paradise. The resort is eco conscious, carefully constructed to blend with the natural environment and to reduce effect on the natural surrounds, local habitat and pristine waters of the bay. You’ll discover a fantastic hub of adventures, whether its a picnic on a private beach, kayak through the mangroves, trek to a waterfall or discovering the many dive sites including 5 wrecks, some of which are covered in multi-coloured sponges. Unwind with a visit to the on-site spa with full spa menu. The ever changing daily menu uses fresh, local, in season produce which is lovingly prepared each day. Three meals daily are included in your stay. No sounds but the water on the shore, the gentle tradewinds in your hair. Discover the luxuries of this adults only resort. This boutique Fijian Resort offers guests a choice of 16 individually designed villas, suites & cottages. 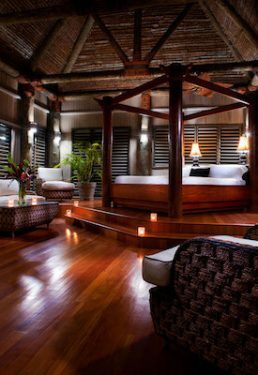 Distinctively Fijian in nature, built in the chiefly style with soaring ceilings and huge posts. A relaxed tropical style, the private accomodations bring the outdoor in, capturing the beauty of Malumu Bay and Bega Island. Each room offers total privacy in this boutique Fijian Resort. 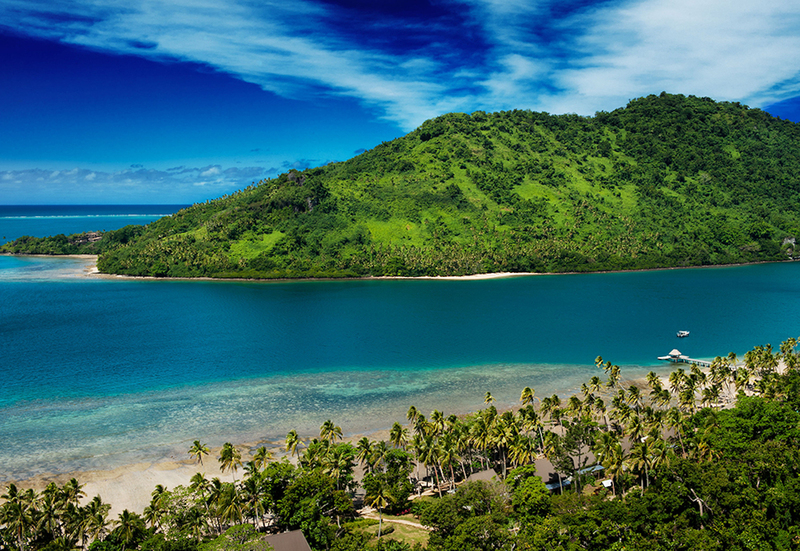 Just off the southern coast of Viti Levu, Fiji’s largest and main island, lies legendary, mystical Beqa (pronounced mbenga) Island. Beqa is enclosed by one of the world’s largest barrier reefs, stretching almost 100 miles. This reef is one of the Pacific’s premier diving and snorkeling locations. The island itself is sparsely populated. There are no roads on the island, travel is done via boat between the villages that dot the bays on the perimeter of the island. Although isolated, the advantage of staying on Beqa Island is that you’ll experience a much greater sense of Fijian hospitality. The lagoon is home to a staggering array of sea life – large sea creatures such as the blue marlin wahoo, swordfish and tuna – as well as the brilliant soft corals. Beqa Island is also renowned for the magical Fijian firewalking ceremony, as only the residents of this island are blessed with the skill of walking across white hot rocks. Lalati Resort takes guests directly to one of only a few firewalking villages to see a true, authentic ceremony.